Those controversial food trucks aren’t the only food source on the Miracle Mile. There’s also, you know, the wild plants you find growing up and around the city streets. At least that’s what urban foragers Mia Wasilevich and Pascal Baudar are proposing, and there’s even an entire event being built around this seemingly crazy contention. Nibble on Your Neighborhood: Wild Foods of Los Angeles is a first-of-its-kind happening that will be hosted by the Craft and Folk Art Museum next month. 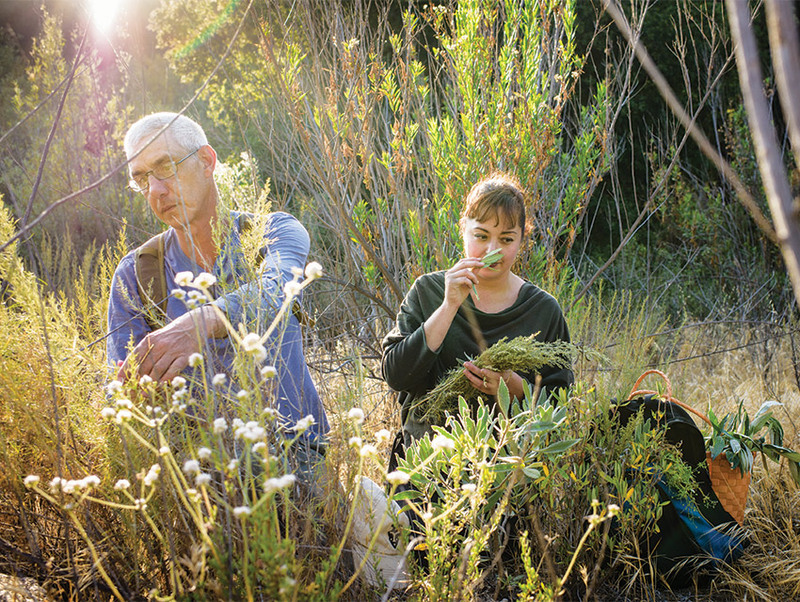 Baudar and Wasilevich, the couple behind Urban Outdoor Skills, an academy where workshops like “Cooking with Forest Floor” and “Extreme Foraging ” are taught, and Transitional Gastronomy, a wild food catering service, will lead participants on a hunt for edible plants around the museum. Then, with the help of Josey Baker of The Mill in San Francisco and his wild yeast expertise, the group will turn the findings into flatbreads via a giant mobile pizza oven. Baudard says there’s a lot of great wild produce to be found right now. 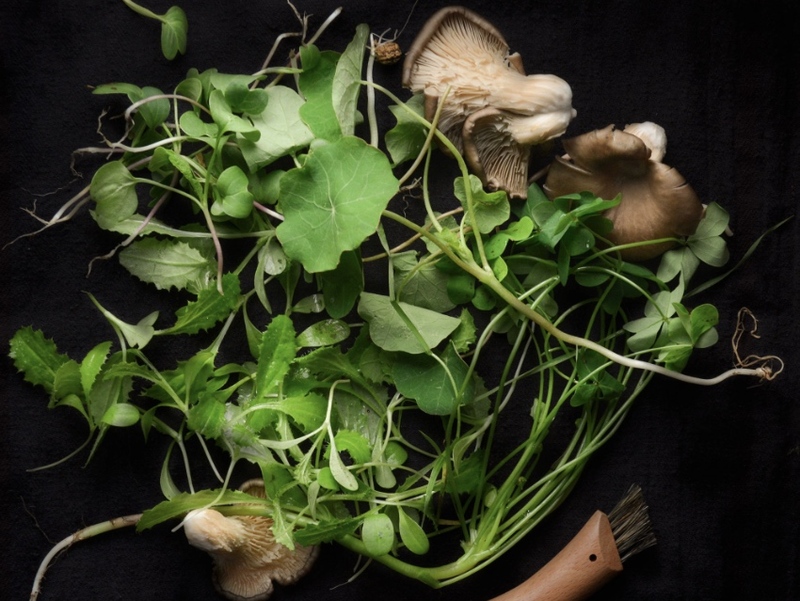 “Fall is the perfect time to forage for young edible sprouts and delicious wild greens such as chickweed, curly dock, and even fresh green grass,” he says. And he should know as he and Wasilevich are the go-tos for top L.A. chefs like Ludo Lefebvre when they need a little lichen for a dish or some acorns (which Baudar says are ripe for the picking at the moment and woefully underutilized). “We have acorns, the forgotten stable of California natives which rarely finds its way into the modern California cuisine, and it’s really too bad. If prepared properly, their nutty flavor and creamy texture can be incorporated into countless delicious dishes,” he says. And speaking of acorns, Mark Jilg from Pasadena’s Craftsman Brewing will be on hand, pouring his acorn beer to complement the night’s dishes, most of which will be made on the spot. The workshop’s independent curator Leyna Lightman says there’s also the potential for “very exotic hot cocoa” if the right ingredients can be procured. “We’re eating of the Miracle Mile. We’re going to go out, and we’re going to find things, and we’re going to imbibe of the concrete jungle,” says Lightman. Nibble on Your Neighborhood: Wild Foods of Los Angeles will take place at CAFAM, 5814 Wilshire Boulevard, 323-937-4230 on November 5, from 4:00 p.m.- 6:30 p.m. Admission is $65/$55 members (includes materials and walking foraging tour). Advanced registration required at cafam.org or email: workshops@cafam.org.